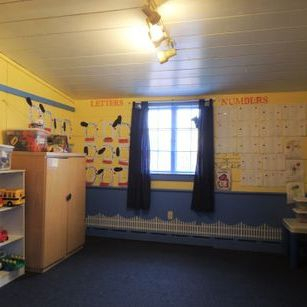 WELCOME ABOARD TO THE INFANT ROOM! Here in our Infant Room, our babies are aged 6 weeks to 18 months. We follow the New Jersey Department of Children and Families, Office of Licensing Manual of Requirements for Child Care Centers. 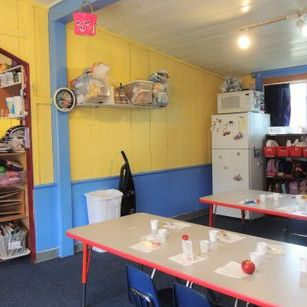 Our Infant Room has a 1:4 Ratio, and is capable of holding up to twelve infants. As some of our babies are just learning to hold their own bottles and begin to eat solid foods, others are walking and beginning to talk. Our babies are exploring their senses and learning sign language. 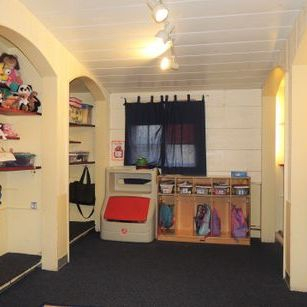 At the age of 17 months, our babies will begin the transition to our Toddler Room. OUR TODDLERS ARE WILD ABOUT LEARNING! 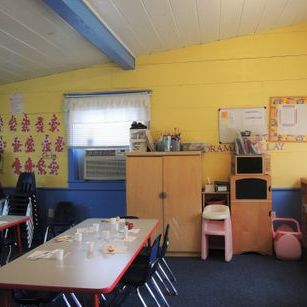 Our Toddler Room is split between two classes. Our Young Toddlers are aged 18 months to 2.5 years old, and our Older Toddlers are aged 2.5 to 3.5 years old. Each class follows their weekly lesson plans based on the school’s curriculum. The Young Toddler Class is learning their first words/animals using flash cards, colors, numbers 1-10 and shapes. They are learning to recognize their name and their friend’s names, follow simple directions, sit together as a group and learn to respect and interact with classmates. Older Toddlers begin pre-writing skills, cutting with scissors and folding paper projects. Most are writing their names on their own by the end of the year as they begin the transition to Preschool. Our Preschool & Pre-K children are learning the skills that are necessary to move onto Kindergarten and Elementary School years. Like the Infants and Toddlers, our Preschool and Pre-K students follow weekly lesson plans based on the schools' curriculum. Our Preschoolers are working on pre-writing, scissor skills, letter, number and shape reviews. The dot to dot method is still used throughout the year. The Pre-K children are effectively using their skills to write letters and numbers . They are working on letter and number concepts and counting grouped items.